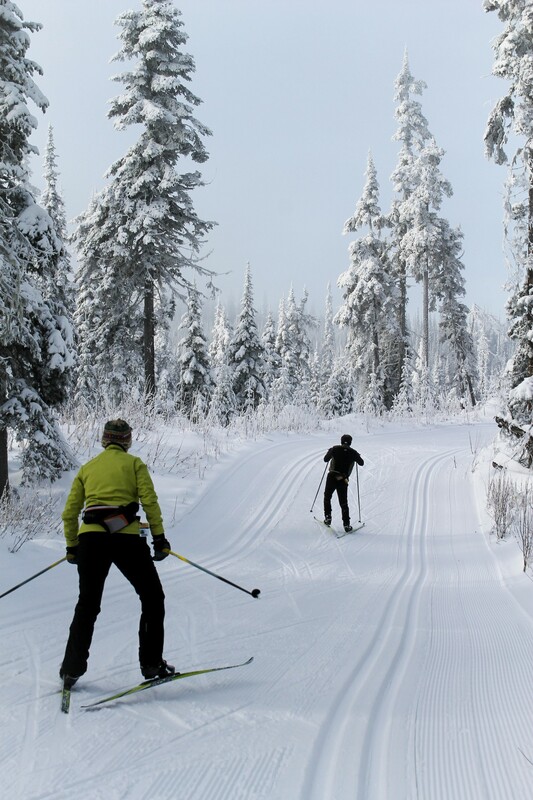 Sun Peaks Nordic skiing (aka Cross Country Skiing) is a low cost, high reward, family friendly Sun Peaks winter activity that is quickly growing in popularity. And not just with us baby boomers! Nordic, or cross country skiing as many call it, is considered one of the best low impact, high cardio and calorie burner, fresh air adrenaline rush activities there is. It can be enjoyed by people of all ages and all fitness levels, and can be for relaxation, peace and tranquility in the beautiful resort area, or can be highly competitive, muscle-burning and intense. It is a low impact, full body workout, that uses both the pushing and the pulling muscles of each area of your body. Every major muscle group, including muscles you didn’t know you had, are used to balance you and move you forward over the wonderful groomed and track set, Okanagan champagne powder snow. And using all these muscles is not only providing you with an excellent aerobic workout and exercising your heart and lungs, it is also burning up an amazing amount of calories – up to 1,100 per hour! And yes, that means you will be tired and will be so looking forward to the private hot tub back at your Best Sun Peaks vacation rental accommodation! 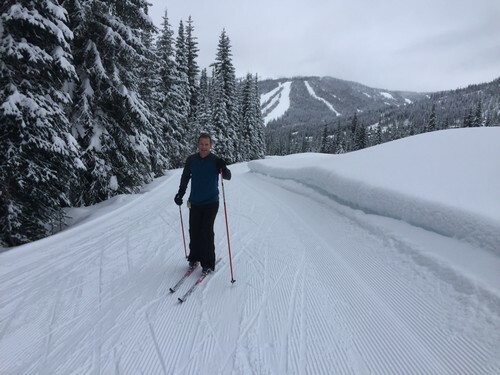 Sun Peaks also recognized all the wonderful health benefits of Nordic cross country skiing, and over the last few years has been working hard to increase and improve their Nordic trail network. Now with over 37 kilometers (23 miles) of wonderfully groomed and track set runs, and a Nordic Centre hut where you can warm up, gear up, arrange rentals, or just get yourself ready to enjoy the experience. Click to save up to 40% on Nordic ski passes and equipment rentals. The trail heads all start right close to the Stone’s Throw condo, Trapper’s Landing and Trail's Edge townhouse complexes, at either the covered wooden bridge leading from the village to Morrisey, at the base of the Morrisey Express Chairlift, where you’ll also find the Nordic Centre which is open from 9 am to 4 pm daily, at the east end of P5 (Parking area 5), and at the Nordic Centre which is at the west end of P5. There you can buy your tickets, warm up, arrange rentals on weekends, and gather information. 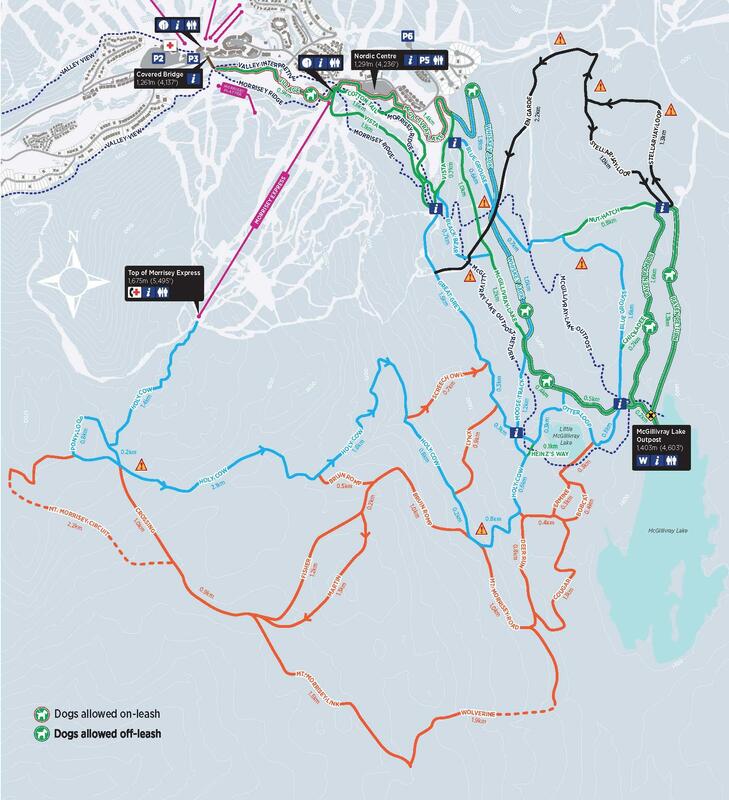 Other Sun Peaks Nordic ski rental locations include McSporties and Elevation in the village. So either purchase your Nordic ski pass from the Nordic Centre or from Guest Services at the base of Sun Peaks, for around $20 per adult for a day or less when you purchase multiple days. 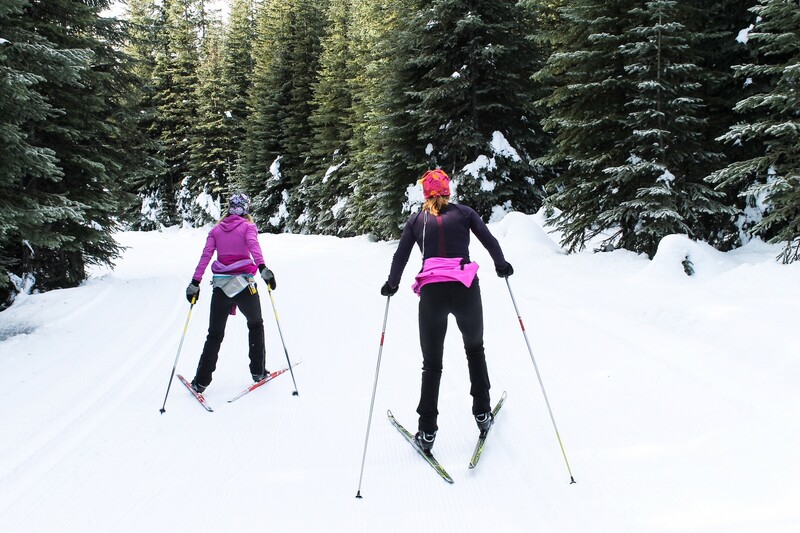 Check out the official Sun Peaks Nordic skiing page for more information. Your Nordic pass includes two trips up this very unique Holy Cow route. Either ‘push and pull’ your way up these elevated trails for a true workout (1,260 vertical ) or take the lift – either way gives you access to spectacular backcountry terrain (for experienced Nordic skiers only) and scenic mountain panoramas. So how about giving it a try during your Best Sun Peaks Adventure holiday? Group or individual Sun Peaks Nordic lessons can be arranged for beginners or to improve your technique if you already know how. There are camps available, and even fun and organized Nordic ski and fondue activities that you can join in with others – check out the Sun Peaks Resort Nordic ski page for more info. And of course, after a spectacular day enjoying the beautiful scenery and champagne powder covered trees and trails, hop in your private hot tub and then enjoy a nice, warming drink in front of the fire. What’s next for your Best Sun Peaks adventure, Sun Peaks snowshoeing perhaps? Or the Sun Peaks Evening Fondue and Ski experience? Or an adrenaline rush on a Sun Peaks snowmobile tour? Book your Sun Peaks Vacation Rental Direct From Owners near the Nordic ski hut - book direct and save.